…Status quo continues another day. Fissure 8 continues to do its thing (fountains up to 230 ft today), pumping a vast river of lava towards Kapoho. Its flow front is about a mile wide where it meets the ocean. USGS reported ~190 acres of new land added to Hawaii as of noon. Some or all of this may be temporary, since “lava deltas” tend to collapse. East and southeasterly winds sent an unpleasant amount of vog over Hilo and the Saddle. This will continue through Saturday, then tradewinds come to the rescue. Normally I tuck the USGS media conference call into my digest for the day, but my notes are so long I decided to put this in its own post. Summary: Eruption is continuing with no signs of stopping. Wendy Stovall gives all kinds of geeky tidbits about temperatures, heights, where the magma is coming from, plumbing system of Kilauea. 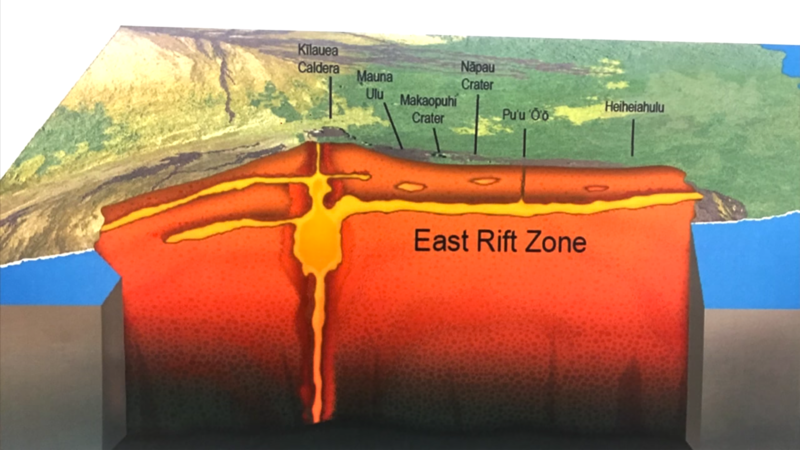 She emphasizes that Kilauea receives a “continuous supply of magma from the deep mantle” thanks to its mantle plume. Scientists are starting to discuss calling this a new eruption, but their focus right now is on collecting data and getting info to Civil Defense. Screencaps from Mick Kalber flyover videos April 28 and May 4(?) as noted by @ReelNewsHawaii on Twitter. 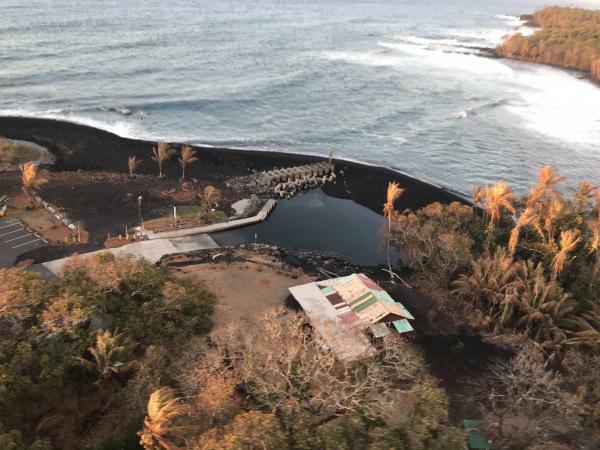 USGS Overflight reveals drained crater of Pu’u O’o. From HVO Photo & Video Chronology blog. Full Size image is worth seeing. 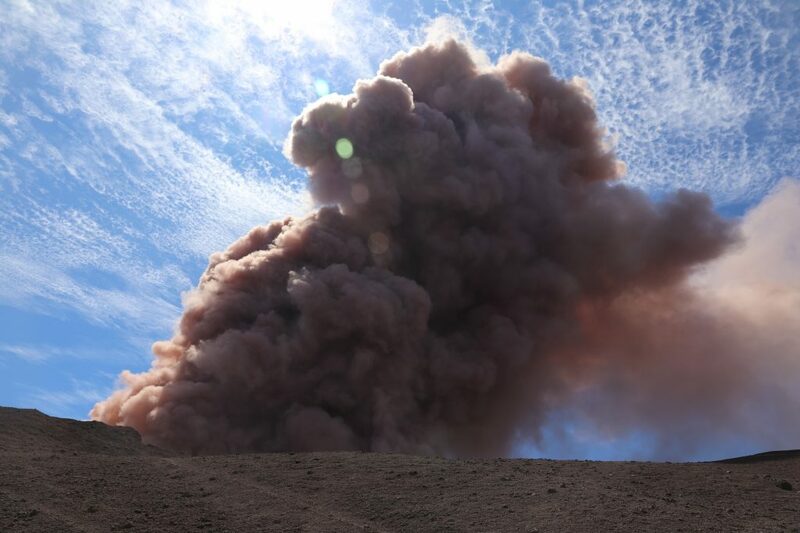 At 10:30 AM, a magnitude-5 earthquake caused more of the crater to collapse, throwing up a cloud of pink ash. 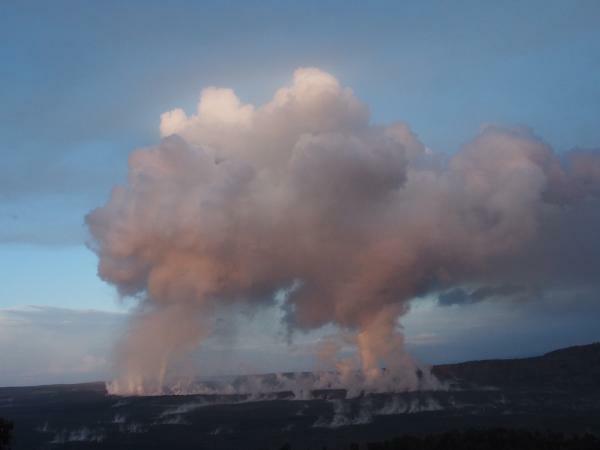 Pu’u O’o crater sends up cloud of ash after M5.0 earthquake. HVO Photo/Video blog. Again, Full-sized image is dramatic. See also Mick Kalber’s May 2 flyover video. 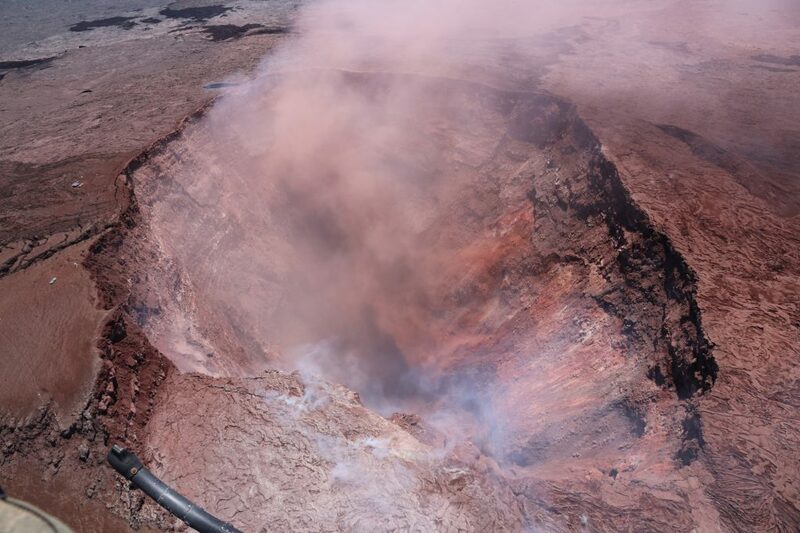 Meanwhile, increased seismicity at the summit coincided with the summit lava lake changing from inflation to deflation— this is when it began to drop (source: HVO Volcano Watch). 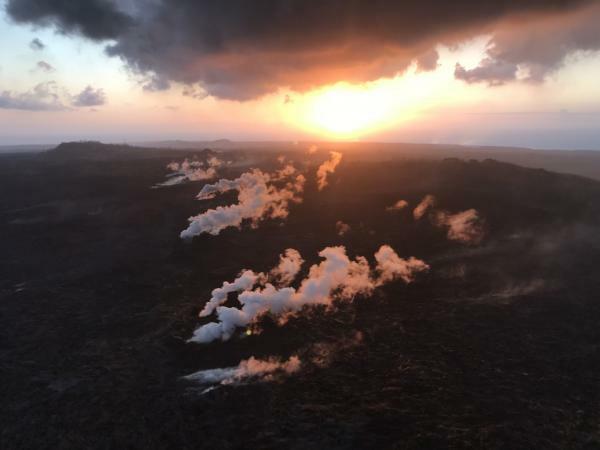 Source: Mick Kalber of Tropical Visions, flying with Paradise Helicopters, annotated by Big Island Video News. Here’s Mick’s observations about this flyover on his vimeo page). This isn’t the first time it’s collapsed. Here’s a regular webcam timelapse movie of Pu’u O’o’s crater floor collapsing on March 5, 2011. So there’s a chance the lava may return. Pu’u O’o: What it looked like just before it collapsed. See also this USGS timelapse movie of Pu’u O’o’s crater lava lake from March 20-April 18, and a blog post with a few good flyover photos on April 29.